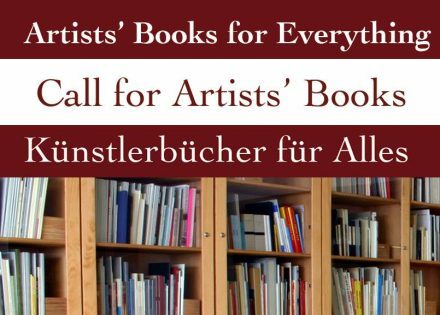 You’re invited to sub­mit artists’ books that have been cre­ated in the last five years may be handed in under the motto »Artists’ Books for Everything – Künst­ler­büch­er für Alles – Livres d’artiste pour tout«. »The exhib­i­tion intends to offer a broad over­view on the cur­rent devel­op­ment and dis­tri­bu­tion of artists‹ books and to show the diversity of this genre. The exhib­i­tion takes place between the June 2nd and August 6th, 2017 in the Cen­ter for Artists‹ Pub­lic­a­tions at the Weser­burg – Museum of Mod­ern Art in Bre­men.